After many years with an old front fence, we needed to finish off the house from the front. We wanted gates that would also allow dogs to roam in the front yard. I was a little unsure about buying something sight unseen, as I couldn’t see what the finish would be like or know whether it would fit. However, the fact that it was a local product from South Australia and hand-made, was an attraction. 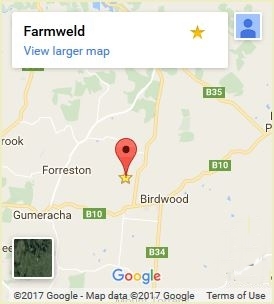 When talking to Farmweld it was obvious they knew their product. They provided advice on things like design options, size of posts, etc. When I said my wife couldn’t visualise it, Tricia sent us an image of how it would look made up, and superimposed it over a picture of our property. When the gates arrived I was impressed by the style and solid nature of the gates. Unfortunately we are moving after taking 10 years to finish the house, ie gates. So hopefully the gates and new front fence will add to the purchase price. I am sure the street appeal has been enhanced considerably. I would recommend Farmweld’s services/products to anyone who appreciates quality and likes an individual product that adds the finishing touch to their property. A person who is house proud! “All good! We love the gates, and it is going to be very hard to leave the house now it is finally the way we visioned! Thinking about updating your entrance? Call us today to see how we can help you improve the value of your property. 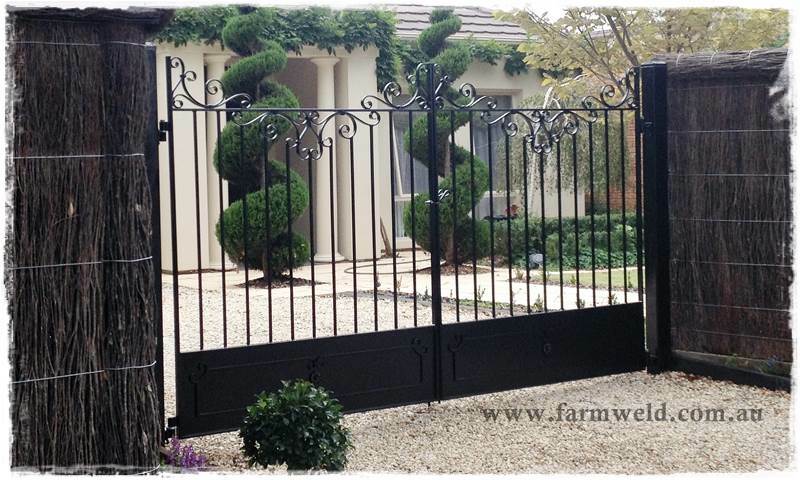 Tagged: dog proof, driveway, french provincial, gates, SA, South Australia, wrought iron.